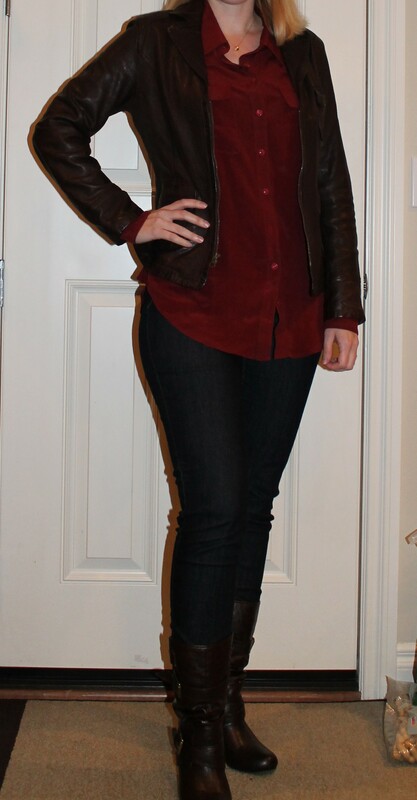 Again, I only remembered to take pictures 3 times, but here is what I wore. I really love this skirt I bought at Ann Taylor Loft back in the early fall, but it was gaping somewhat unattractively and I’m not sure the cut really works with my shape. The color is beautiful though and it went well with this sleeveless white polka dot blouse I also bought from Loft. This was a somewhat leather heavy outfit between the jacket and the boots, but it’s getting really cold outside and the jacket helped keep me warm in the office. The blouse was from one of my stitch fixes. The dress and necklace were from an old stitch fix, and the cardigan was from Target. 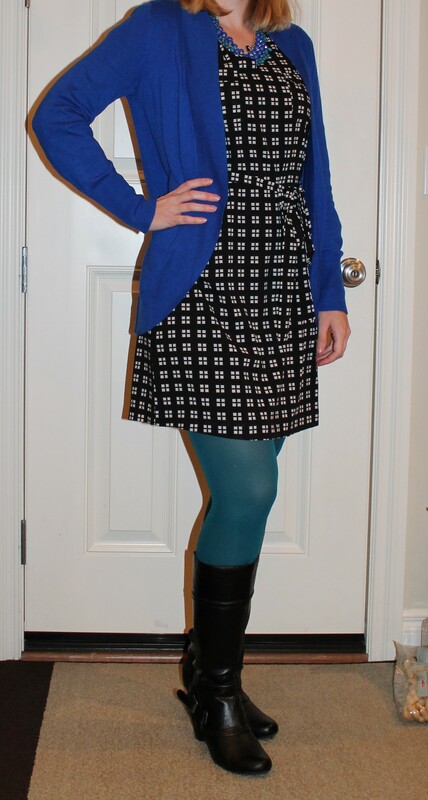 I paired everything with these teal tights, but I didn’t love the look of the tights. 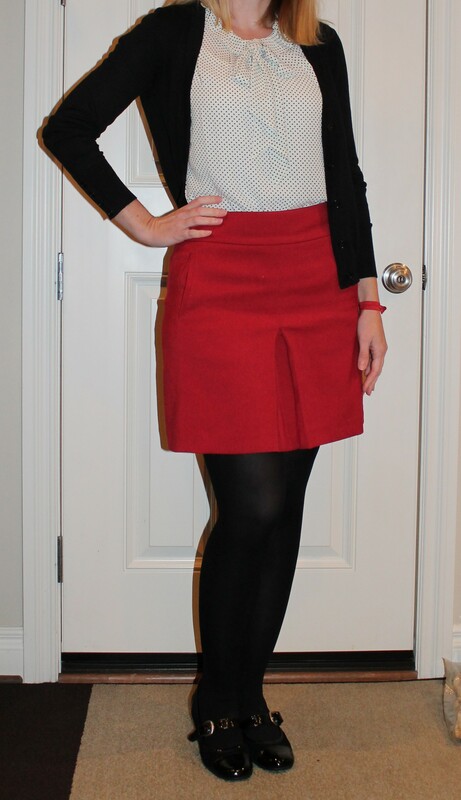 I think I’ll stick with black and neutral tights. For some reason the color made me look sort of sickly.